David McWilliams was born on July 4, 1945. He recorded his first single in 1966 and recorded three albums in two years. All three albums managed to reach the lower regions of the UK albums chart, but single success never followed. 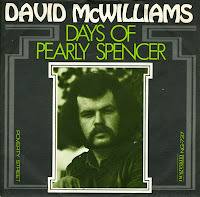 Nonetheless, his 1967 single 'Days of Pearly Spencer' became a classic of its time. The lyric was inspired by the fate of a homeless friend of McWilliams. The single reached number 8 in the Dutch Top 40. McWilliams died of a heart attack at his home in Ballycastle, County Antrim in 2002, at the age of 56.